See my list of best lighted tents that are on the market in 2019. The design includes a LED light system that operates on batteries and a switch button on the wall. Here you have a list with best teepee tents for camping that are currently on the market, very interesting and pleasant constructions with an easy setup, great packed size, and very affordable. 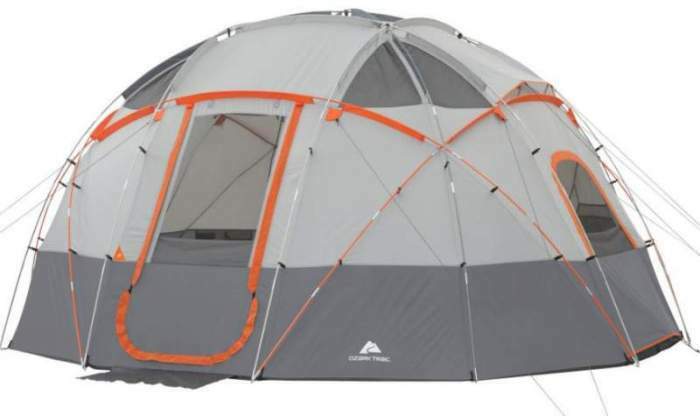 Tahoe Gear Bighorn XL 12-Person Teepee Tent is a single-pole structure with the sewn-in floor, 2 doors and 4 PVC windows, nicely packable and easy to use. Tahoe Gear Carson 3-Season 14 Person Large Family Cabin Tent is a huge and tall structure with 3 inner rooms and a screen room, with many large windows and doors. This Guide Gear Teepee Tent 18 x 18 feet is a very tall single-room and single-pole structure with four solid windows, a fully sealed floor, and with a great price tag. Wenzel Blue Ridge 7 person tent is a tunnel type non-freestanding 2-room structure suitable for summer camping, easy to use and to transport, and with a great price tag. I am a participant in the Amazon Services LLC Associates Program, an affiliate advertising program designed to provide a means for sites to earn advertising fees by advertising and linking to amazon.com. So when you buy something from this website, I may receive an affiliate commission. These are my opinions and are not representative of the companies that create these products. My reviews are based on my own experience and research. I never recommend poor quality products, or create false reviews to make sales. It is my intention to explain products so you can make an informed decisions on which ones suit your needs best.